Fringe In Rundle Mall will return to Gawler Place for another year of fanciful fun. 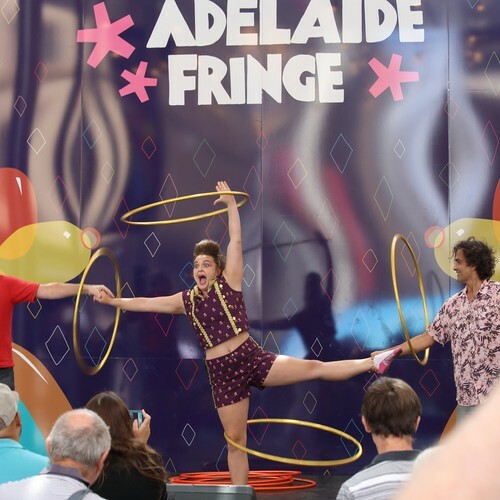 Rundle Mall is transformed into a family friendly artistic hub to give attendees a taste of the fantastic, frivolous and downright fabulous shows available to see at the Fringe. Check out the gigantic public artwork, learn a little from a workshop or be amazed by the ever-changing performances on stage. Playful performances can be seen from 11am to 2pm Tuesday to Friday and from 12pm to 3pm on weekends and public holidays. The info booth will be open from 10:30am to 6pm from Tuesday to Friday and from 11:30am tp 5pm on weekends and public holidays for daily artist meet and greets or to answer any questions. There is sure to be something to tickle your fancy at this free public event. Fringe In Rundle Mall will run from Tuesday to Sunday from February 15 to March 17, 2019. Tickets to shows featured will be available for purchase online or at the Rundle Mall Box Office.